Scottish Power is “hopeful” that power will be restored at 9pm after the Hawick network was hit by “multiple faults” today (Saturday). 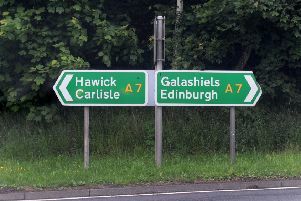 Hundreds of Teries are understood to be without power, and a spokesperson for the utility giant told the Hawick News tonight: “Our engineers arrived on site shortly after supplies were interrupted and have been working throughout the day to restore supplies. We have multiple faults on the network which is very rare. The spokesman added that the areas affected included Eildon Road and McLagan Drive in Burnfoot, and that it was “working to have supplies restored as soon as possible”.